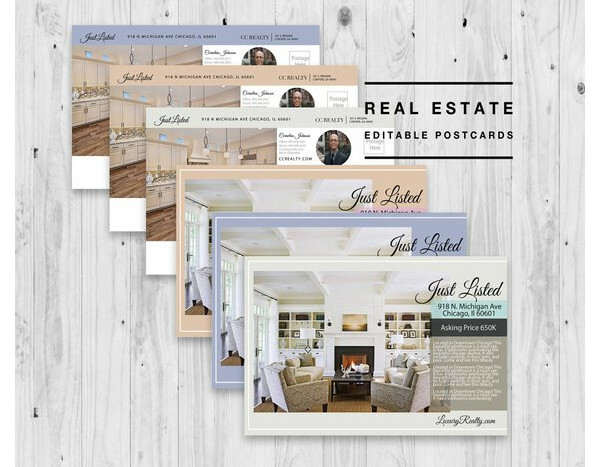 ‘Just Sold’ postcards are created by real estate agents after closing a sale of property in an area. These cards draw attention of other prospective clients in that area. The message included in the postcard will help in driving potential leads. You can use attractive text style and high-resolution images to create an interesting ‘Just Sold’ postcard. Here are the top 10+ Best Just Sold Postcard Examples & Templates [ Download Now ] listed for the realtors who want to generate more leads for their business. This post is designed very beautifully with different images to grab the attention of the clients. The stunning fully bleed image on the front highlights message to your readers. On the back, a solid image is used so that you can add important information for your readers. All the layers of the postcard template can be easily edited and customised as per your requirements. This postcard template can be downloaded in PSD and AI format. This is an elegant style real estate postcard which has numerous options. This postcard template is fully layered and can be easily edited. In front, you will get three photo replacement options with easily changeable object shapes. On the back, you have three photo layouts for up to 4 image display. This PSD format template is available for very affordable price. 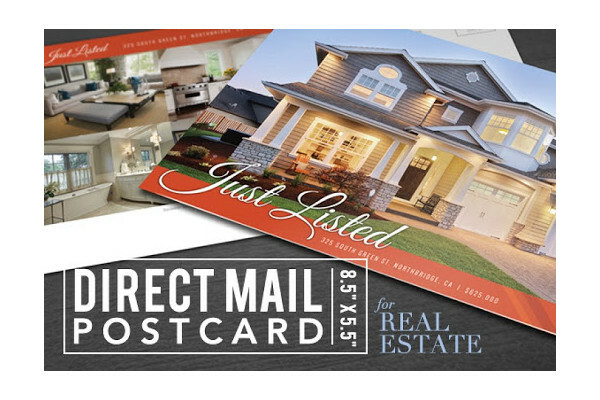 If you are lately facing lots of competition in your real estate business, then by creating good just sold postcards you can attract new customers. By using this free real estate postcard template, you can create professional looking and expressive promotional postcard to lure people. It will give you an opportunity to showcase your success to people. This solid postcard template is available in all latest formats to edit and print for free. 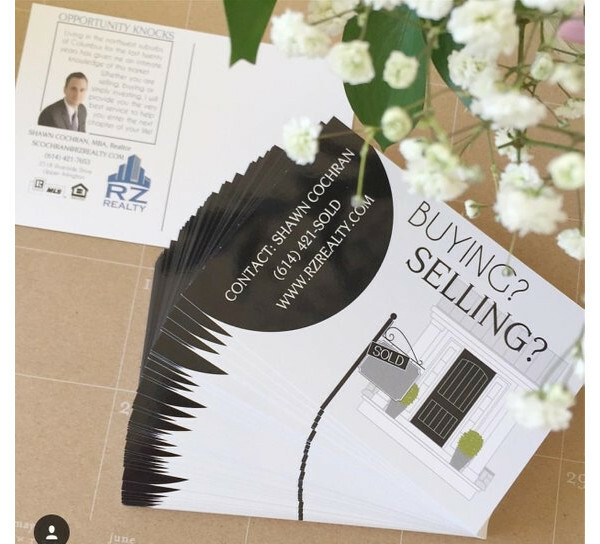 Using this realtor postcard template, you can convey a message to your potential clients about your recent successful sale. You can easily tell people about your achievements with this template. You can quickly edit the information as per your description and also customise this postcard by using your necessity. It is available in Adobe Photoshop, Illustrator, MS Word, Publisher, and Pages. It can be quickly downloaded and printed! 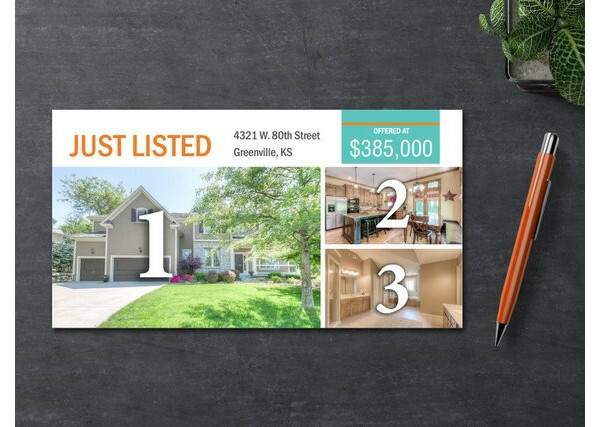 Real estate agents can use this professionally designed postcard template to inform their clients about properties recently sold by them. It is A5 size postcard with two color variations. You can easily edit and create your own color scheme with CMYK, 300 dpi and standard bleed. Just add your content and photos, and this postcard is ready to print. 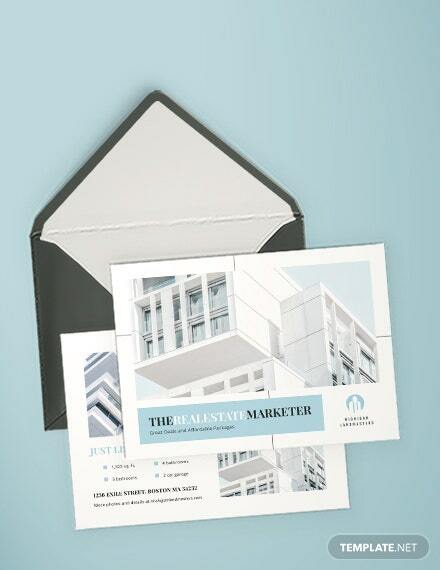 This is an elegant postcard template format which will help you advertise your real estate services. These stunning postcard template is available in two colors. You can easily personalize this postcard with your own information and photos of the property which you have just sold. With this postcard, you can easily improve the client list of your business. 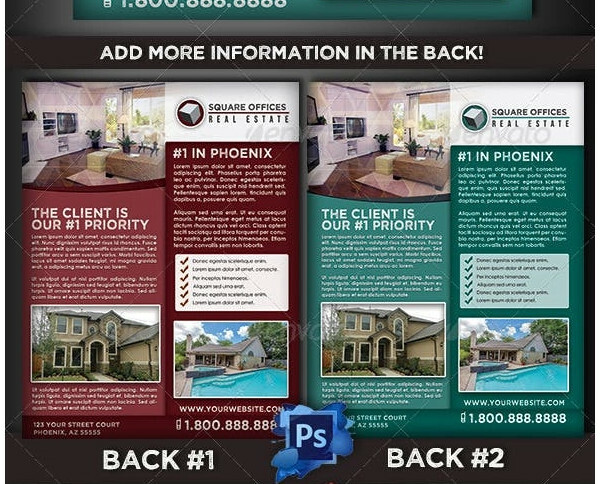 This postcard template can be used by you to promote your just sold properties. This is highly editable template style; you can change the color, photos and text style. You can change this template as needed. The dimensions of this card are 11.5″ x 6.125″, but they can be adjusted. This template is available in MS Word and Apple Pages format to download. When you are trying to wow some clients, then you can create some cool just sold postcards using this template. This format of the postcard template will help better your marketing campaign. This is a photoshop template which can be quickly downloaded and edited according to your needs. Download and customize this postcard to improve your business at affordable rate. 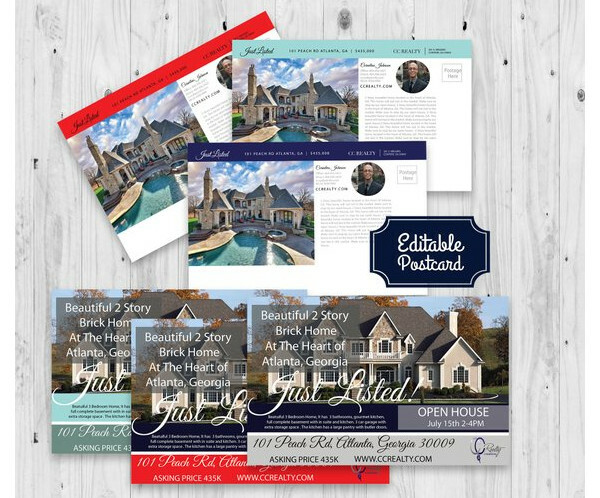 This real estate postcard mailer will definitely help increase your client list. 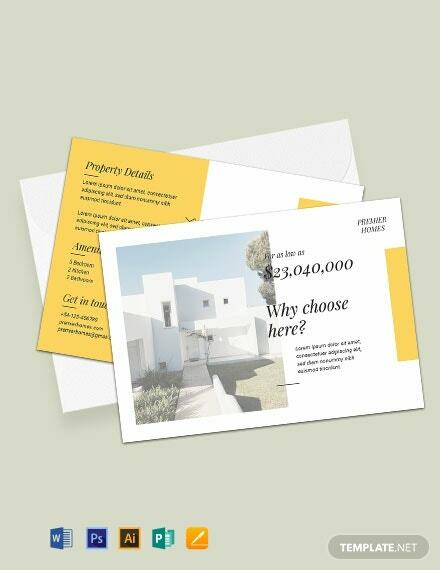 You can include an image and text related to the property which you have recently sold on this stylish postcard. It is 4×6” size postcard available in PDF file which you can custom with the information that you can print over and over. This is a wide range of promotional postcards. 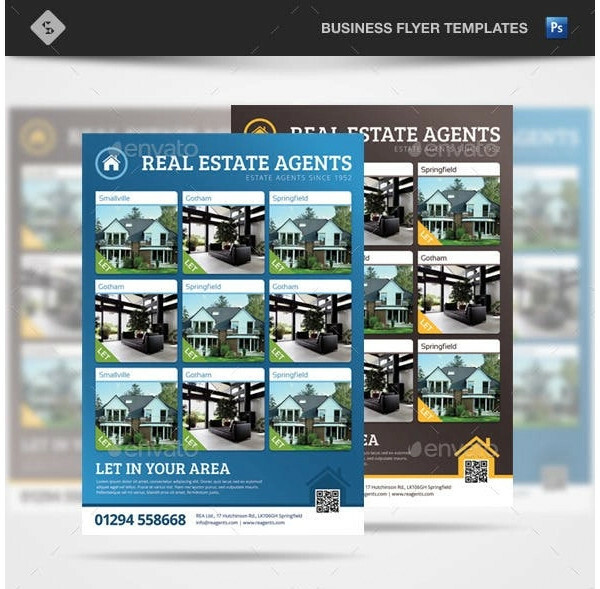 Using these creative templates, you can create marketing postcard, real estate listing, real estate flyer, business postcard, etc., You can quickly download and customize this template as per your business requirements.